Emily Fridlund will read, discuss, and sign copies of Catapult at 702WI. 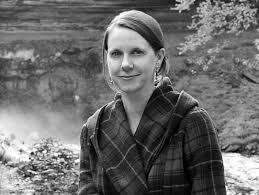 Emily Fridlund grew up in the Twin Cities and received her MFA in fiction from Washington University in Saint Louis. In 2014, she completed her PhD in literature and creative writing at the University of Southern California. Her short fiction is forthcoming or has appeared in ZYZZYVA, Boston Review, Southwest Review, FiveChapters, New Orleans Review, Sou'wester, and The Portland Review, among other journals. Emily is currently revising her first novel, History of Wolves, which was supported by a grant from the Barbara Deming Memorial Fund for feminist projects. Along with her novel, Emily's graduate research was a study of simultaneity in modernist and contemporary narrative called The Usual Things in Unusual Places. "Eleven stories of misshapen families and broken friendships disturb and unsettle. Fridlund follows History of Wolves (2017), her marvelous and preternaturally accomplished first novel, with a collection of jarring and polished short fiction. The craft is evident in the perfect titles and the observational acuity of the sentences. . . .Her stories evoke Flannery O'Connor's masterly way with grotesquery but deviate in Fridlund's contempt for faith. Bracing, often brilliant stories deliver a shock to the routine narratives we tell." "Here comes a powerhouse of a first story collection notable for its temerity and its skilled combination of humor and insight. Awarded the Mary McCarthy Prize in Short Fiction by Ben Marcus (who praised its 'piercing' wisdom and 'destabilizing insight'), this is — seriously — a laugh-out-loud collection as wise as it is funny. " —The New York Times, "Other People's Minds: Four New Story Collections"
"This powerhouse of a first collection . . . is notable for its deft mix of humor and insight. " —The New York Times Book Review, Editors' Choice, "7 New Books We Recommend This Week"
“[Catapult is] a kind of tasting menu showcasing Fridlund's stark, dissonant voice. Her descriptions blindside you with rude audacity. . . . Story after story replenishes Fridlund's flinty, wistful vision." “The 11 stories in Emily Fridlund's slim collection, Catapult . . . reveal the coiled, uncanny power that propelled her debut novel, History of Wolves, onto the Man Booker Prize shortlist." —The Atlantic, "The Propulsive Power of Catapult"
“[Fridlund is] a remarkable writer." "The sentence-level craft is near perfect in spinning tales of broken friendships and misshapen families. . . .Fans of Flannery O'Connor will appreciate the mastery of the grotesque, even without O'Connor's spiritual underpinnings." —Newsday, "Great books that deserved more buzz in 2017"
"Fridlund has already proven herself to be a singular talent." "An uneasy, but exhilarating, expectation of trouble ahead is manifest in her sharp and exquisite prose, which is carefully crafted to do the most damage in the most economical way." "Catapult...burrows under the skin to reveal what hurts the most...This collection is as intelligent as it is incisive." "[Catapult] is a collection of stories that pulse and push...Fridlund keenly observes the scrapes of the everyday, recasting these narratives with new, vividly drawn characters that surprise and disturb." —The Arkansas International, "Capsule Reviews"
"Fridlund writes exceptional character-driven fiction, and her stories bristle with a menacing domestic intensity that few writers can capture." —Sinkhole Magazine, "Under the Microscope,"
"It's not often you find a collection of stories that's sharp and surprising and familiar all at once—it's like entering a room full of family members with whom you are close but have not seen in years. Emily Fridlund takes the time to step inside the minds of these familial-yet-foreign characters, and it is a pleasure." "Fridlund’s writing—deft and observant, pockmarked with little bursts of joyful description—will pull you forward." —The East Bay Review, "Review: Catapult by Emily Fridlund,"
"Fridlund writes of families, marriage, and childhood as if our received wisdom—what we thought we knew about life and love and family—needs reparation. This is fiction as excavation, peeling away the machinery of people and converting it to narrative. Fridlund shines a spotlight on what gets hidden and unreported, and the result can be overwhelming—cutting and funny and filled with difficult truth."